→ New Origami for Halloween book! → New Origami Tshirts: give the t-shirt and make the model! 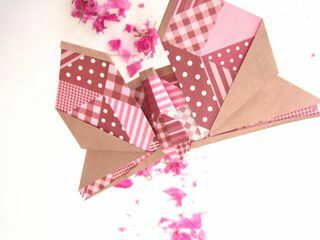 Make beautiful paper butterflies with this easy origami butterfly model! This tutorial shows how to fold a new and original butterfly origami model that I designed. For best results, use a square piece of paper with different colors or patterns on each side. 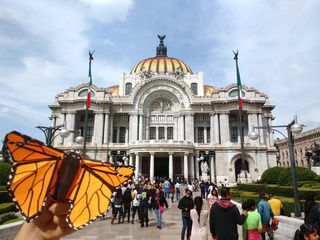 This butterfly is a variation of my easy origami butterfly design: https://www.youtube.com/watch?v=Tky2GrR3XKg (a different color for each pair of wings). This model is very easy and takes only a few minutes to fold, so you can easily make lots of butterflies, that you can then use for crafts and DIY projects (e.g. greeting cards, scrapbooking, wrapping gifts), for decorating a wall, to make a mobile display etc. Please send me pictures of your butterflies and projects that use this model! I will showcase them on the http://origami.plus site. Please share this Beautiful Butterfly with your friends! Here are the step-by-step instructions to fold a Beautiful Butterfly (photo diagram and/or video). - outdoor photography: in a park or your garden, snap pictures of origami butterflies on plants, flowers etc. - framed origami butterflies: display a collection of many butterflies of different colors, like a butterfly collector! - wall of butterflies: make lots of butterflies and stick them on the wall of your bedroom. - combine origami and drawing: draw some flowers on a sheet of paper with crayons or paint, and then glue butterflies on your drawing. 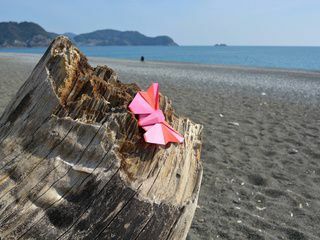 If you have more ideas to use the origami butterfly and/or photos of finished projects, please send them to me (stephane@origami.plus) and I will add them here. Please send me pictures of your butterflies on the Origami Plus Facebook page, or on Twitter (@Origami_Plus). Thank you! Many more butterflies video tutorials coming soon, please subscribe to get notified. Note: this model is an original model protected by international copyright laws. Please do not publish instructions, diagrams or videos that show how to fold it, but instead point people to this page. If you would like to help with the translation of the instructions to your language (or improve the translation), please let me know. Thank you! If you fold this Beautiful Butterfly, please send me pictures of your paper Beautiful Butterfly so that I can show them here. If you make an origami butterfly, please send me a picture so that I can add it to the origami butterflies gallery below! Thank you! What do you think of this Beautiful Butterfly? 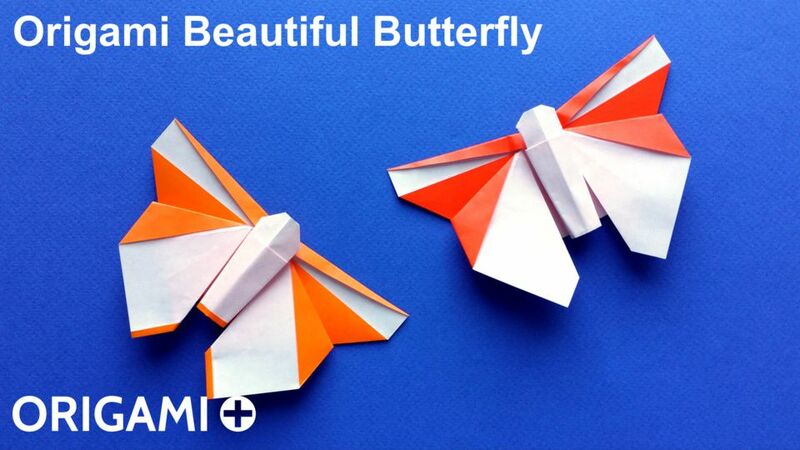 Have you tried this this Beautiful Butterfly origami model? How did it turn out? Please tell me, and send me a picture of your model so that I can add it on this page! If you like this Beautiful Butterfly and my other origami models, you can support me on Patreon. Thank you! 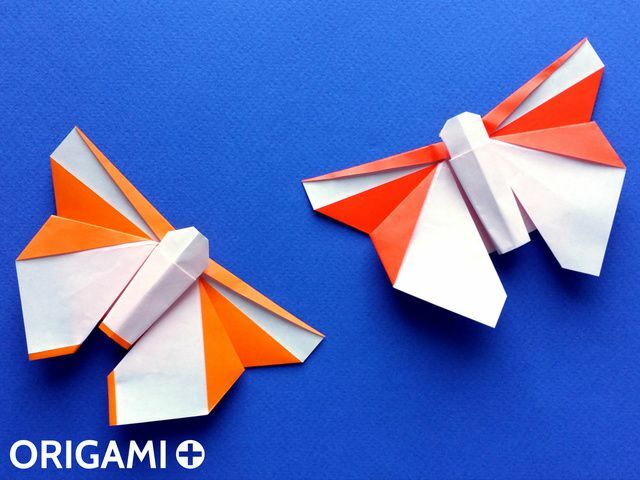 Origami is the art of folding paper to create animals, plants, objects and geometric forms. Origami models with easy to follow step-by-step instructions in video and photos. Diagrams to fold origami models can be difficult to interpret sometimes. For each model we show a photo of each step so that you can easily fold all models. Each origami model also has a video that shows how to fold it. Subscribe to the Origami + YouTube channel to be notified when I publish new origami models and videos. 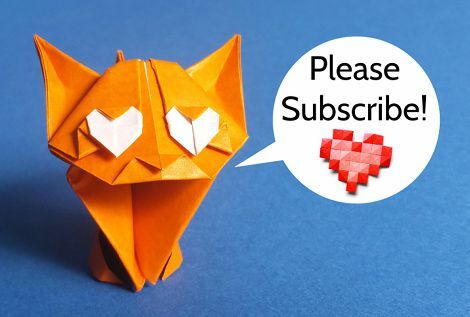 If you like my original origami models and videos, please support me on Patreon. Thank you! Join me on the Origami + Facebook page and follow @Origami_Plus on Twitter to talk about origami, share your origamis and suggest new models!